Portfolio received an exciting brief from easyJet who were looking to excite their passengers by providing a unique range of artisan and gourmet products for sale and gifting on board. 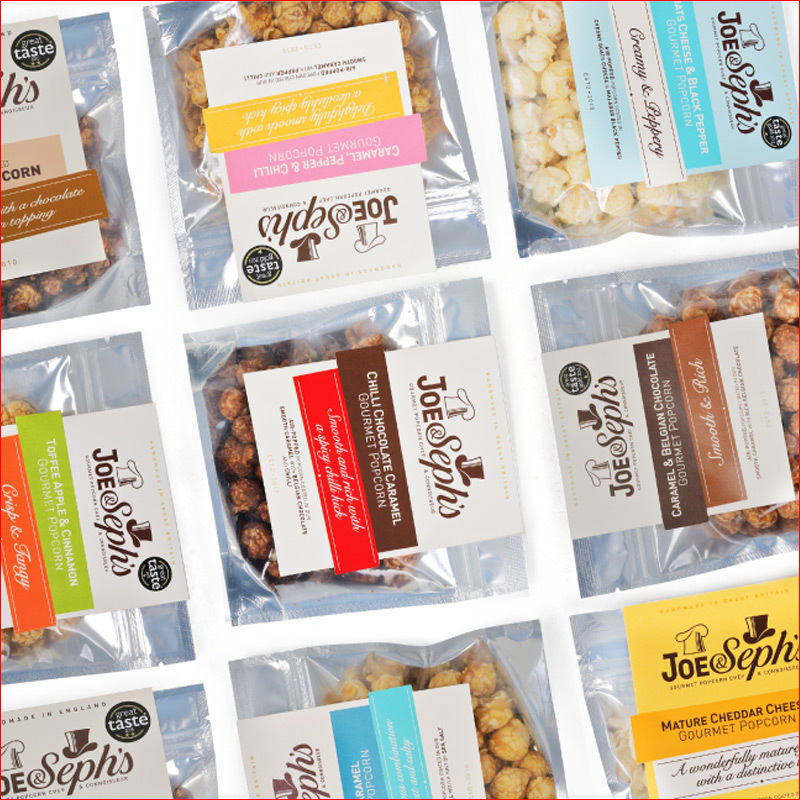 Having kept a close eye on the products that were awarded Great Taste Awards, we were aware of the Joe & Seph’s brand and were fans of the delicious popcorn – then supplied in a snack pack format of 35g (or 32g for a cheese flavour). We reached out to the brand’s founder, Adam Sopher, and quickly discovered we shared a passion for not only good food, but for travel and together we collaborated on a product that would specifically meet the needs of the airline’s brief. In 2015, we were delighted to launch the a 25g box for easyJet that fits neatly within a standard airline trolley – maximising use of the space on board and the opportunity for revenue. Once a product is listed Portfolio gathers feedback from the crew and airline buyers themselves. The only critique of the listed product was that it needed more salt. 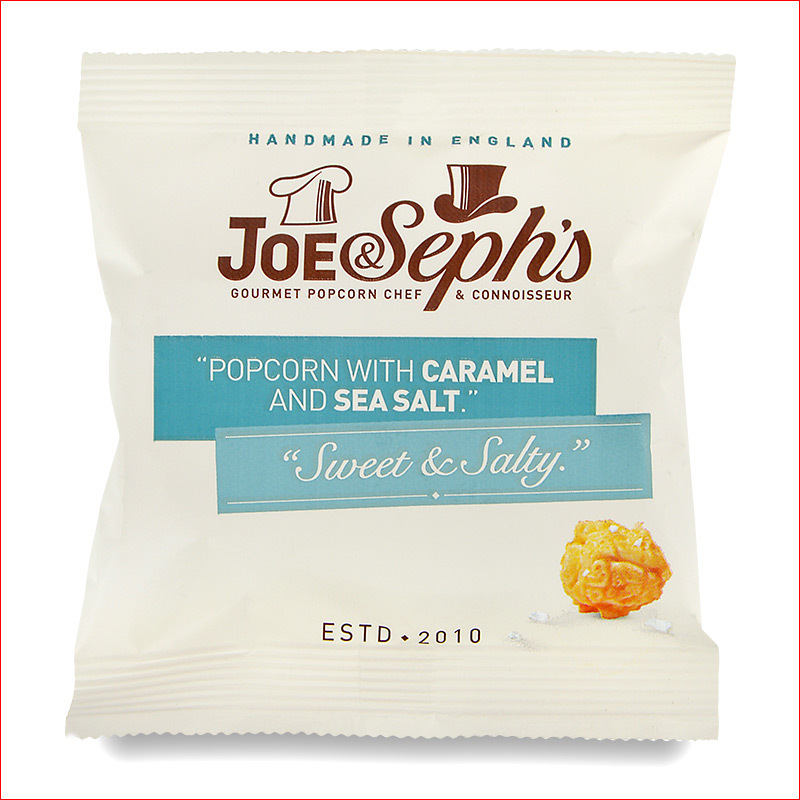 Joe & Seph’s listened to our feedback and created the Double Salted Caramel flavour! EasyJet have loved and listed this product for the last 4 years running. Joe & Seph’s then created their 23g sachet. 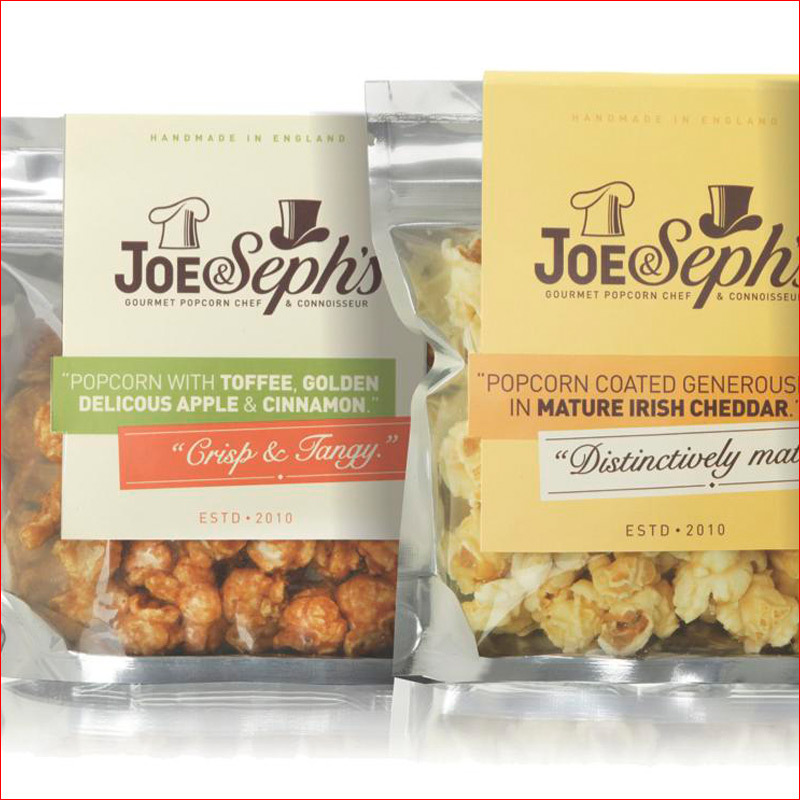 Portfolio considered the complimentary market as a potential suit for Joe & Seph’s and we turned our attention to promoting the development of a 17g and an 7g pack – giving us a full range of options for on board retail. We are in tune with the market place and continually seek to gain feedback and improve products and opportunities for both our customers and brands.